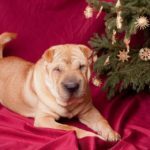 It’s the holidays! And, honestly, who can resist the idea of a cute puppy in a little red ribbon? Let me make one request, don’t make the dog “surprise” a surprise. It may seem like you’re taking some of the fun away, but trust me it will have a much happier ending if you include the future owner in the search! There are so many animals behind cages at shelters waiting to rescued, and you can have the pick of so many wonderful new additions to the family. Still, just as people’s interests are very diverse, don’t pretend that you can pick the perfect animal for someone in your life, regardless of how well you know them. 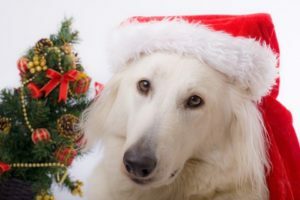 Some shelters won’t allow pets to be adopted and given as gifts, and for good reason, it’s almost inevitable that the animal will come back to a shelter. If the person keeping the animal and caring for them day in and day out, isn’t the person deciding on the animal, dozens of things can go wrong. Perhaps the person thought a dog would be great, but didn’t really think about how it might impact their travel schedule, or they figured it would be easier to have their cat get along with a dog, but it isn’t happening. 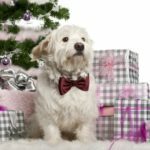 Regardless of the reason they might not be the right fit for that household, it’s pretty common that pets given as gifts aren’t the perfect fit for the person receiving the gift. So rather than put the person you love through having to live with a pet that isn’t a good fit for their family, or even worse having to make the decision to bring the pet to a shelter – just invite them into the rewarding experience of adopting a shelter pet. Tell them you’ll cover the costs and then enjoy a little time searching for their perfect fit with them. You know that feeling you get when you know you’ve found the “it” gift for someone – something they will love beyond measure and you found it for them? Well, this will feel even better! Tiana Nelson is from Denver, Colo., and started the Doggie Avenger Blog with the goal of educating people and changing their perceptions about animals. When she began volunteering at a local animal shelter, it struck her that so many people were not actively aware of animal overpopulation. She hopes to change the lives of animals one-by-one through increasing awareness and encouraging people to always adopt — never buy from a breeder or pet store, to always spay and neuter their pets, to understand the depth of animal issues and to know why all of that is important. Tiana currently works in higher education, and in her free time enjoys traveling, running, volunteering with animals, spending time with her two pugs, and her family and friends.